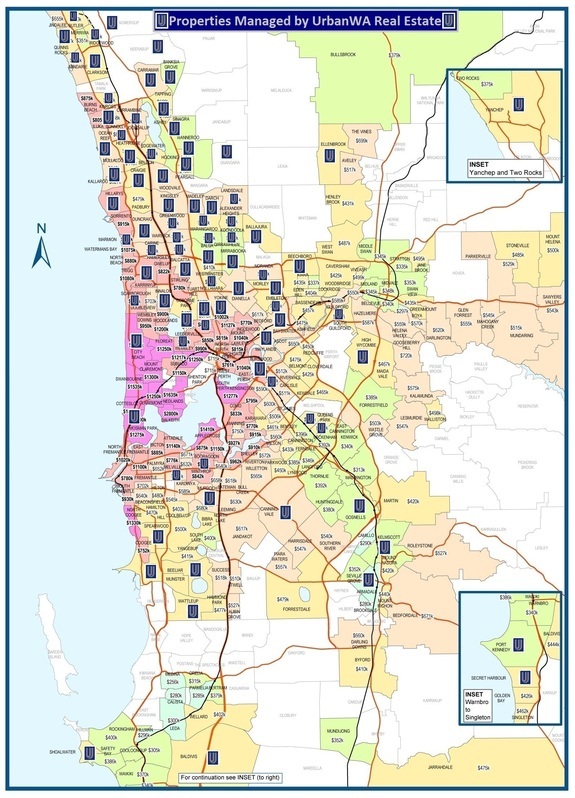 Urban WA Real Estate is located in the northern suburb of Wanneroo. However, we manage properties in suburbs that extend well beyond the immediate area of our locale. With a team of dedicated property managers who specialise in certain areas, no matter where your property may be located in the Perth metropolitan area, you can benefit from the professionalism of our experienced property managers. For a closer look at our coverage area, click on the image below.